I'm a big fan of transparency in game development and I feel that so far I haven't done as good a job as I want to. Part of the perils of being responsible for everything, I guess. Let's make this better. 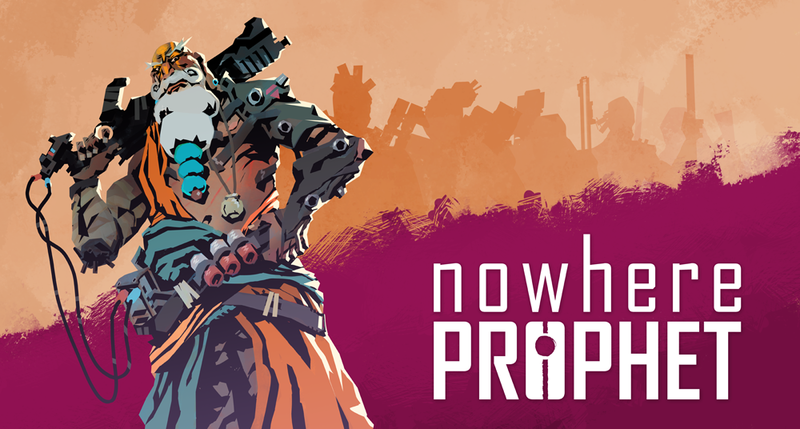 That said, here's the outline of my plans for the immediate future of Nowhere Prophet. The game's been in Early Access for a fair bit now and progress has been good, though not as fast as I had hoped. Christmas and new year took out a big chunk of my time, as did some private life stuff. That has turned December into a rather slow month for me but it gave me enough energy to start this year, charging ahead. So for Q1 the goal is to focus on adding content and improving the game's interface. I hope to keep updating the game regularly and to post a blog post with each update detailing the progress and sharing snippets and images. Please note that since game development is a fickle business the content or timing of these updates is likely to change. Still it's good to have a plan set down. To make sure you stay informed I'll edit this post to keep it updated as things develop. If you've got any questions, do ask below or reach out on Discord or via twitter to @nowhereprophet. v0.12.016 - Released 15th Jan! The first update will finally add the first unlockable class: The Tower. This will also come with some new cards and events. I'll also make some changes to the route generation to provide for more variety and event control. v0.12.021 - Released 31st Jan! It's still cold out so why not spend more time on Soma? I'll extend the available maps by one more. I also plan to add another selectable convoy: The Faithful. And plans are to include a better help system for new players to read up on the rules. v0.13.001 - Released 14th Feb! Time for the second unlockable class: The Echo. Again adding some cards and events to go along with that. I'll also add a set of mysterious events that are dubbed "Crypt Knowledge" events. And I plan on improving the interface in a few places like the Convoy Deck View for example. v0.13.010 - Released 28th Feb! This one's to add The Explorers, yet another convoy to unlock. The plan is also to add more enemies and cards together with those. And also commission my artists to paint some more faces for the followers to finally add all of you that backed on the Face tier. I will also add the last map to the game allowing you to finally unlock the Crypt's mysteries. v0.13.017 - Released 7th Mar! I'll be busy showing off attending some conferences in the US in March. I'll be attending both SXSW in Austin, Texas and the GDC in San Francisco. This leaves just little time for development so both these versions will be small. First will be adding another convoy, The Survivors, and focusing adding new events and equipment. v0.13.023 - Release 31st Mar! The second update in march will add more events but will also add support for a second, harder difficulty mode. There's many more ideas for what to add, fix and improve but these are my Must Haves for Nowhere Prophet. Everything else comes after. Beyond the changes mentioned above, each patch will also feature smaller improvements, bugfixes and other adjustments as I go along. 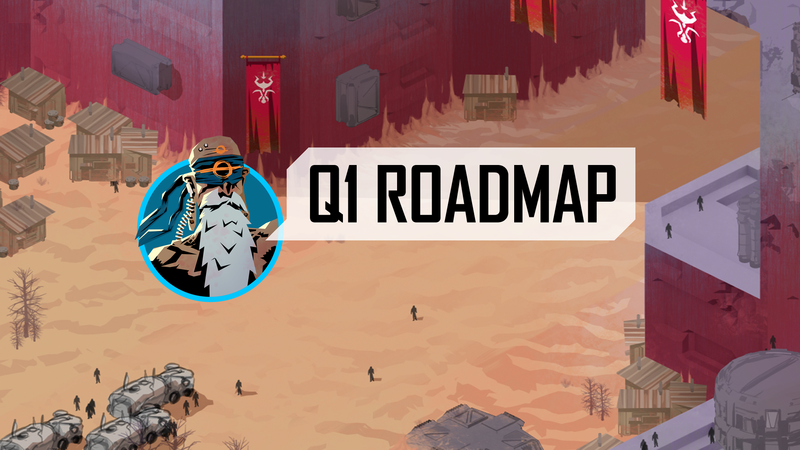 I'll also post another timeline for Q2 as we get closer to April. Current plans are still to release in Q2 but things may shift, currently most likely due to publishing considerations. However if things pan out then Q2 will be mostly polishing, localization and such work with little time for new features and only minor content additions. And what happens after launch I have ideas for more classes and convoys, for more cards enemies, items, events etc. These may be released as free updates and/or additional DLC. To be honest it's not clear at this point and very much dependent on how well the game does.